Conflict with (not within) Your Organization? 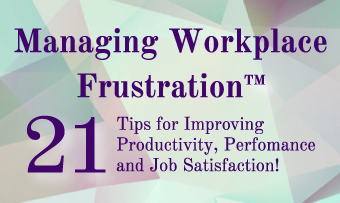 Are you in conflict with the organization you work for? Do the values of your organization conflict with your personal values? A consultant I once knew refused a lucrative assignment with a meat packing company because he was a vegetarian. Maybe it’s more that the organization’s espoused values aren’t what actually takes place on a daily basis? Do the actions within your organization reflect what leadership says is important? An IT colleague I know left a great job because he couldn’t work for an organization that wouldn’t fire incompetent staff. If excellence is deemed to be important, how is that demonstrated in your organization? How can you find meaning in the work you do? Can you look beyond the everyday and understand that the work you do saves lives and keeps people safe @ work? Is your work dull and boring but providing food and shelter for you and/or your family? Do you so enjoy the people you work with that you can put aside the mundane or distasteful parts of your job? What other kinds of conflict do you know of that people have with the organizations they work with? Previous Article Previous Article: Conflict? What Kind This Time?